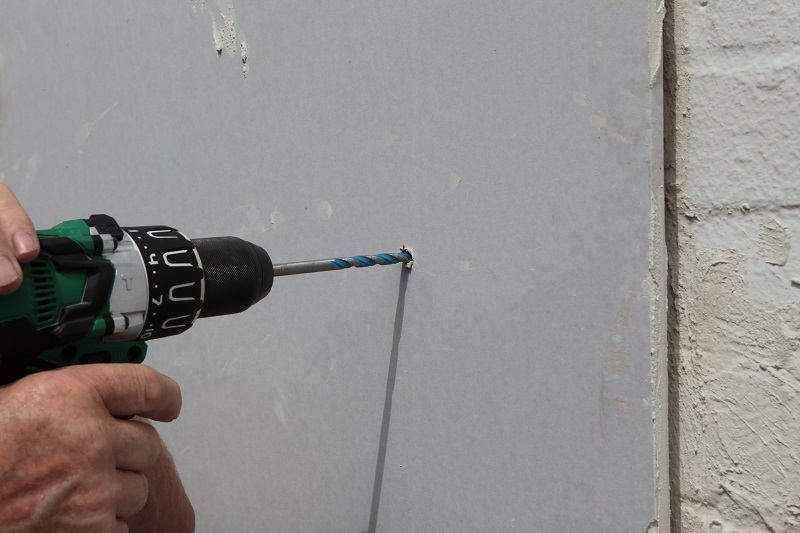 Roger Bisby investigates a dry lining and dot and dab fixing. Dot and dab is so common these days that there ought to be any number of specialist fixings solutions out there but you don’t see them. Even extra-long wall plugs would be a help but they are hard to come by unless you go to a specialist fixings centre. 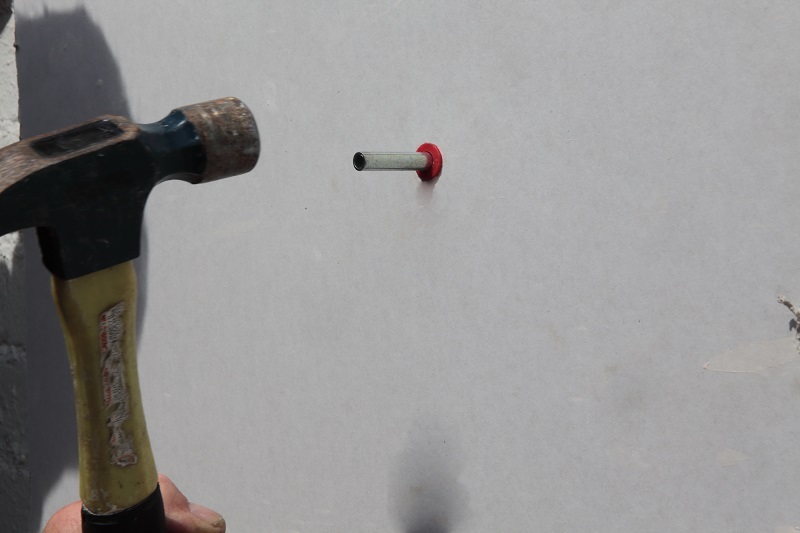 If you need to hang something heavy, such as kitchen wall units, or a radiator on a dot and dab or dry lined wall, you have to get a good fixing into the masonry, and that leaves you with a screw that is hovering in free space behind and through the plasterboard. It is very far from ideal. 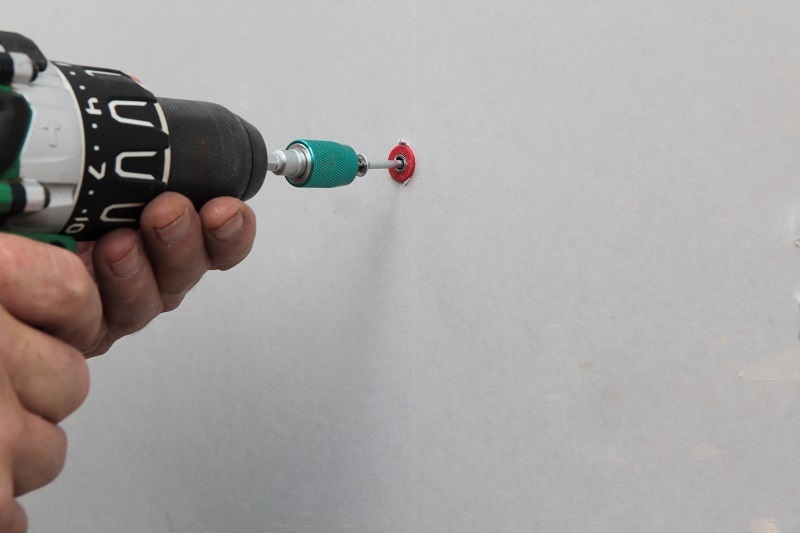 The Corefix system from Metex is a purpose-made fixing for dry lining and dot and dab. 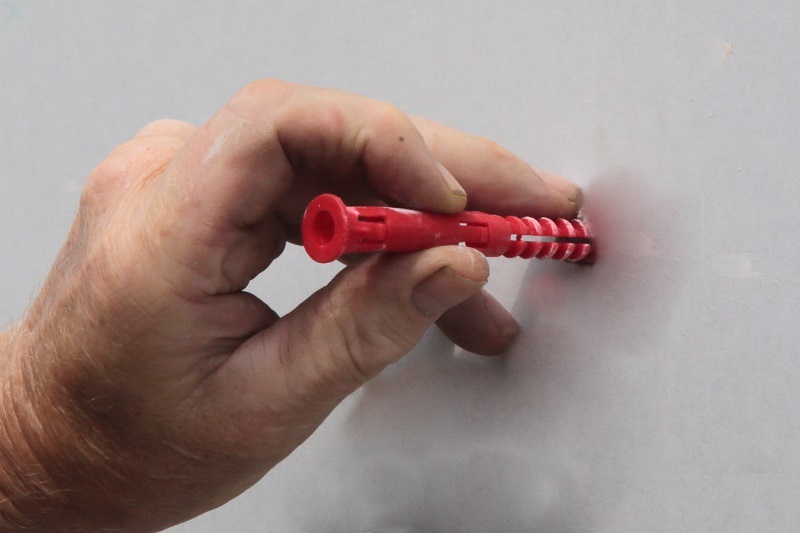 It provides a very stable fixing because the steel core or sleeve fits deep inside the plastic wall plug with an interference fit and bridges the gap behind the board to sit snugly in the plasterboard face ready to receive the screw. Not only do you get a rock solid fixing it also doesn’t pull the plasterboard in or cause the screw to bend. The safe working load will depend as much on the host material as the fixing, but provided the weight is predominantly straight down rather than a cantilever, four the product will give you a 90kg SWL which is more than ample for the largest wall hung radiators and kitchen units. Certainly it would take a big television. The plastic wall plug has some very chunky ribs which will lock nicely into aircrete block as well as harder materials. If you think about how much dot and dab plasterboard is out there it is nothing short of astounding that the major fixings companies have largely ignored this specific task, and left builders to come up with their own bodges. Far too many of them have assumed that getting a fixing into the plasterboard will be enough but they have not thought it through. Now Corefix has provided the answer it is likely to be the go to product for this type of application. At present there is nothing I know of that will match it. You will need a 10mm drill bit. If you are going into aircrete block you won’t need the hammer action. 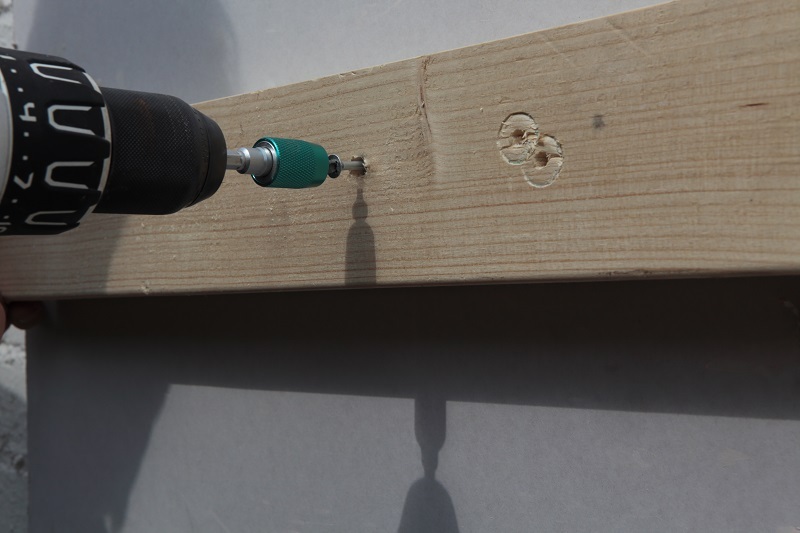 Drill the hole deep enough to take the plug so it is flush with the face of the board. Tap the plug in and then tap the steel core in until it is flush. Use the screws provided to make your fixings. Four fixings will give you a 90kg safe working load. FMB: Builders Spend 2.5 Years Driving Van! Construction Workers Warned: Stay Out of the Sun!